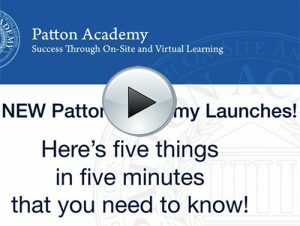 Now that the Patton Academy is live on the web, you can obtain Patton training and certification online—anywhere, anytime. So, what are you waiting for? Any Patton Partner can learn how to install, configure, and operate Patton SmartNode, CopperLink and other products based on the Trinity OS! Don’t wait to get started and earn your Patton Certified Voice Professional (PCVP) and Patton Certified Voice Expert (PCVE) credential. Available 24 hours a day, the Patton Academy offers on-demand learning for channels and partners via the worldwide web. You can use a purchase order to buy courses. Will the Patton Academy make your life a little easier as a Patton Certified Channel or Registered Partner? Do you have any feedback for us about how we can improve this new training vehicle?